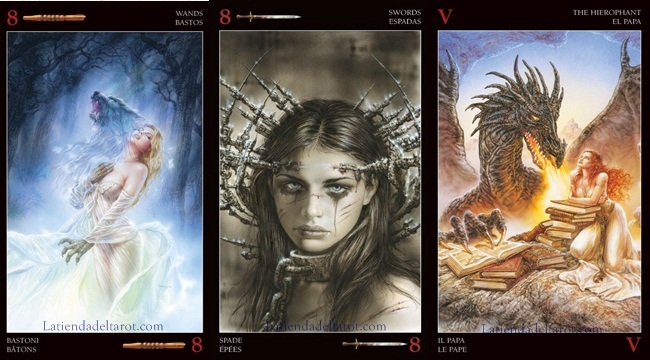 Luis Royo, one of the most popular fantasy artists of our time, invites us to a living world of disturbing beauty, where justice is fast and transformation is inevitable. 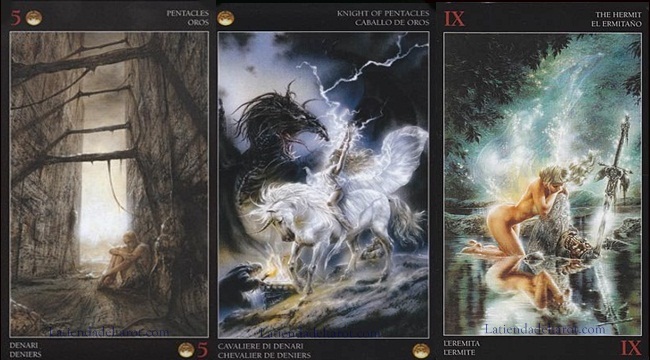 Bright nocturnal are dominated by mortal warrior women, nobles, knights, and the luminescent creatures of nature, both wild and wise. Loosely based on the Rider-Waite tradition. 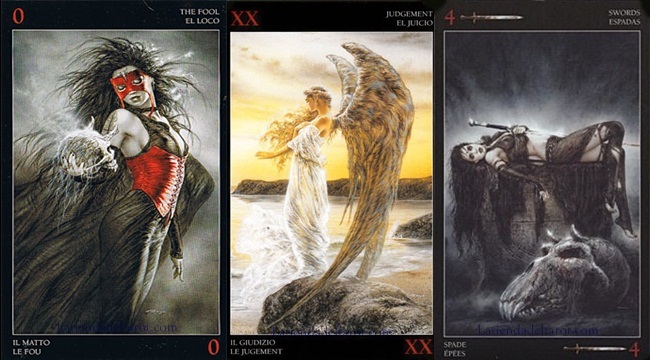 This Tarot is sensual and the empowerment of Royo, urges to face the darkest fears, embrace the most primitive passions, and give free rein to the beast that you carry inside. 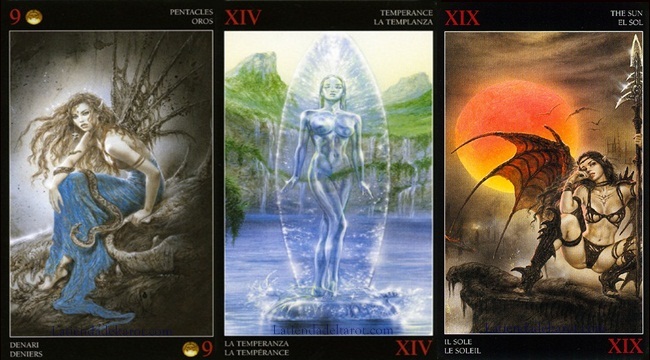 L’Oracle de l’Amour "Last Units"
Oracle Goddesses and Sirens "Last Units"